Very recently, many artists have been resorting to releasing EPs rather than full albums for a great variety of reasons. Some new artists have been debuting with EPs so listeners can get their feet wet without investing too much money. Danyew, Sarah Reeves, Abandon, and Philmont are all examples of this approach. Still yet, some are releasing EPs to get the music out to fans more quickly than with a one-shot album. Jon Foreman of Switchfoot did this last year, and Mae recently announced this course of action as well. But now it appears Future of Forestry is the latest to join this release schedule. Set to release three EPs in a twelve-month period- Travel, Travel II, and Travel III -this review covers the first chapter of this series of three. Musically, it's a natural progression from the band's debut, Twilight. It's a little different than the previous release in that it's their rock sound with a classical influence. Right off the bat we are blown away by the single "Traveler's Song," which is by far the best track. While it's comparatively simple compared to the rest of the record, it shines as a result. After this track, the entire EP seems to change gears. It's very ambitious and monumental, but it is exactly that which makes the EP a little too overwhelming. It's almost as if Future of Forestry tried to cram as much as they could into one EP and still have something epic. While there are only six songs on the record, it's quite a listen from beginning to end. You almost feel tired after listening through it all because some of the tracks just seem to drag on for a little too long. While I can like the idea of making a series of EPs instead of making a one-off album, it may have been better to do the latter considering the epic factor displayed here. It's almost as if the EP was really made to be a snack, but the whole meal was served up instead. While the object of the first Travel EP is to whet your appetite for the next two installments, some will already feel satisfied enough. Eric Owyoung, the lead singer and frontman of the band, poured his heart and soul into this EP, and it shows. He produced and mixed the whole record, performed most of the instruments, and designed all the cover artwork. Clearly, there was much dedication given to this project, and for that reason, I have much respect. 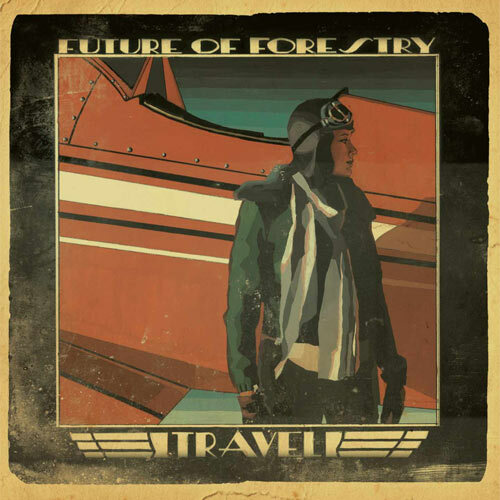 Diehard fans of Future of Forestry, who probably already picked up this project as this review goes to press, will find something to admire from this EP, but for a casual listener, it could be a little, well, boring. But if you're willing to devote some time to get used to the style, you might find some diamonds in this rough. We'll see if these trends continue on Travel II and III.